We love special products here at Play3r and when we get the chance to test them for you, we make sure we do just that! 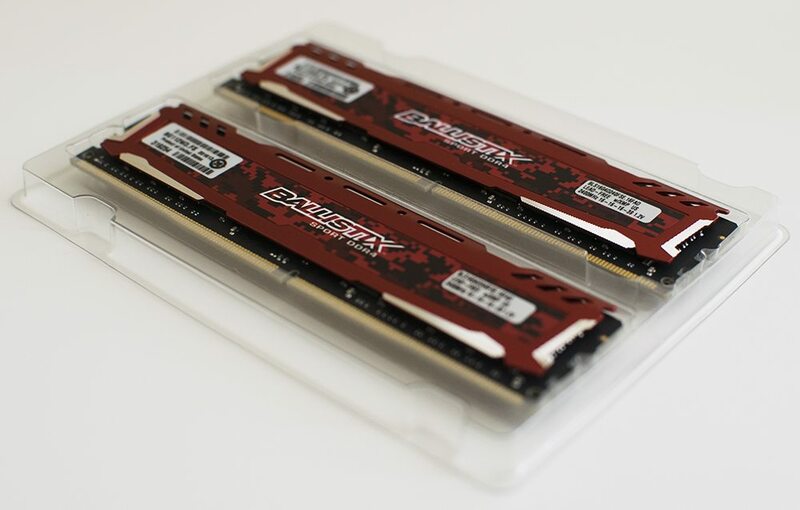 When Crucial contacted us and asked if we wanted to take a look at their latest 32GB kit of DDR4, we thought… oh, that’s not too exciting, but we’ll roll with it; but when they said it’s a dual channel kit, it certainly peaked our interest! 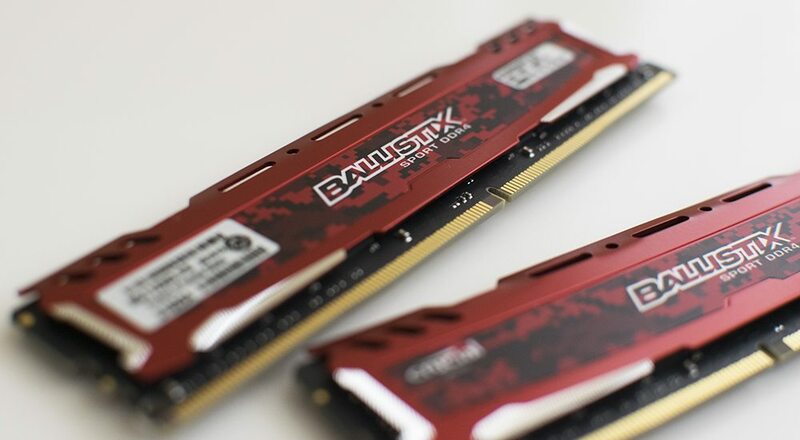 Say hello to the Crucial Ballistix Sport LT 32GB (2x16GB) 2400MHz CL16 dual channel kit, which not only proves to be an interesting review, but it’s one that pushes the boundary of consumer memory even further! With not so many 16GB SO-DIMM sticks around that aren’t designed for server scenarios, Crucial combine their legendary Micron ICs with the style and beauty of their Ballistix heat sinks. They look good through the packaging, but taken out of the resealable blister pack, these particular modules have a red urban camo finish; this is set off with the black PCB to make a pretty nice looking kit. So what’s different with this particular kit that we haven’t previously seen before? Well to begin with, each module has 16GB worth of memory chips; this is very new to the regular consumer market and although a little overkill, it screams RAM Disk potential! Aside from the massive amounts of “memory”, this kit features XMP 2.0 speeds of 2400MHz with latency timings of 16-16-16-39. This might not be blisteringly fast or with super low latencies, but the modules do run at a very low 1.2v for maximum efficiency. These Crucial Ballistic Sport LT heat sinks sport a sultry looking red and black digital (urban) camouflage design which in our opinion looks superb. 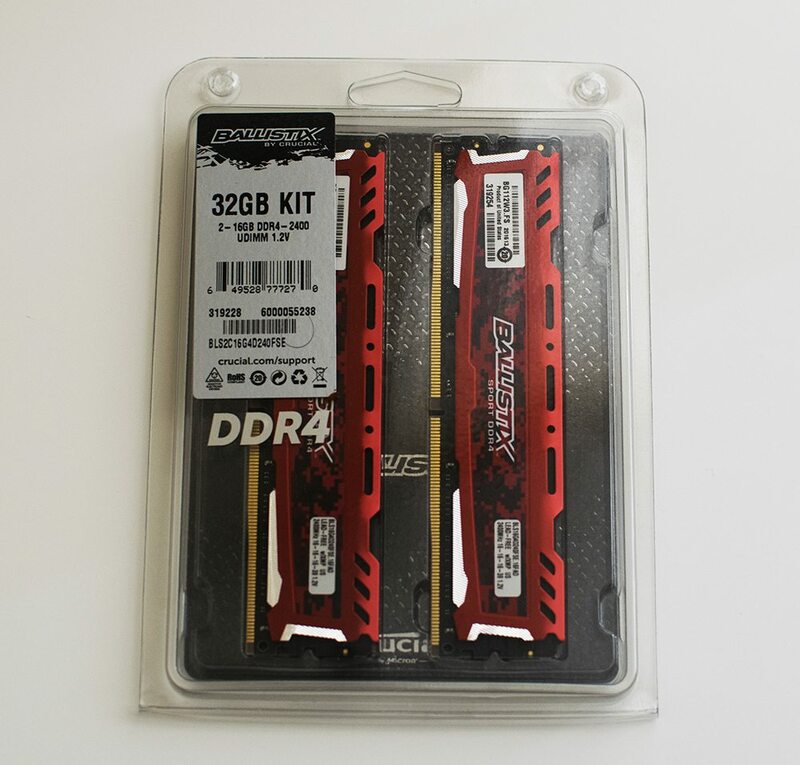 It may be more difficult to match up with other components than other memory brands such as Avexir, but that’s the price you pay for being unique; these certainly look it. The Ballistix Sport LT heat sinks are also classed as low profile, so there should be no compatibility issues with coolers whatsoever!